What happens if you put a clock divider, clock multiplier, step injector, time shifter, clock shifter, pulse width modulator, and an arithmetic probability processor all under the control of a single knob? Now what will happen if you fit 16 of those knobs into a single module and have them interact? You will have a riot, a Trigger Riot! With so much going on, simply tweaking a few knobs gets a lot happening on its eight channels, with sequences building up, interesting patterns evolving, and streams of triggers and gates pouring from the outputs. 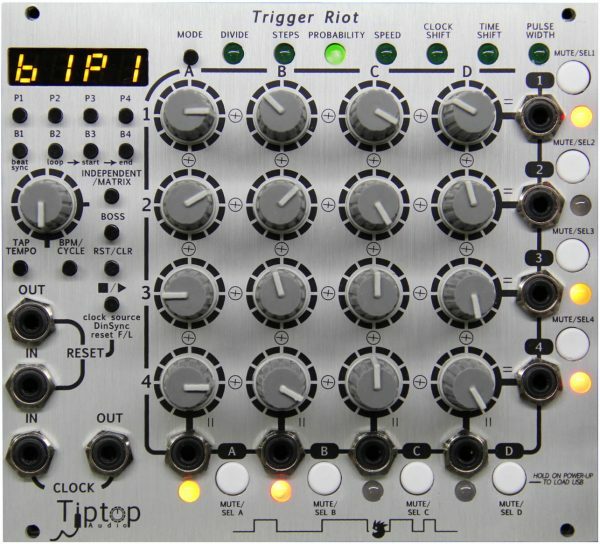 The Trigger Riot represents a new type of pattern sequencer that is both creatively deep on one hand and intuitive on the other. 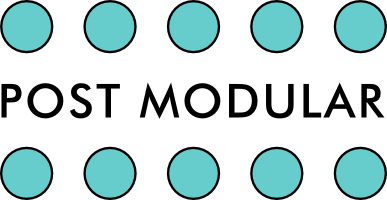 This innovative sequencer is used to compose rhythmic elements in the modular synth in a unique method and way that has never been used before. 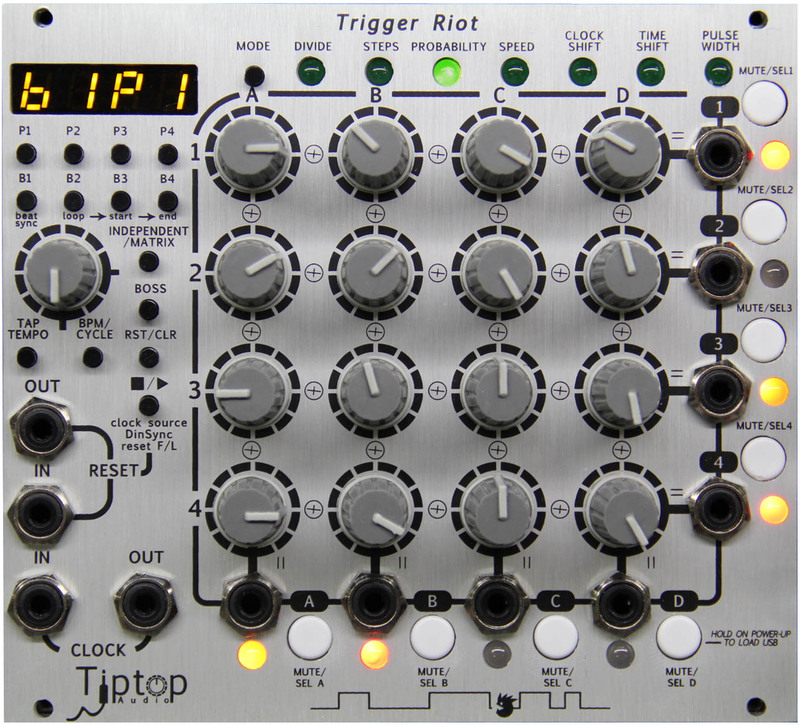 The trigger riot creates sequences with knobs instead of switches, with the knobs able to be used independently or in matrix. The concept takes a bit to get used to but in the end is very simple to understand, the tr generates or takes in a clock signal, each of the knobs can be used as the programmable clock divider (divider), clock sequencer (steps), or both to generate streams of triggers and gates at the outputs. As a highly accurate clock source it has 8 outputs, each output can have up to 4 clock divisions and each of these divisions can be assigned a probability of triggering, clock shifting, time shifting, fractional clock multiplication and pulse width. Additionally, each output has 4 steps that do not repeat like a division. Not only are all the quick manipulative functions at your fingertips and the playability instantaneous, but also you never have to worry about it going obsolete with the ability to upgrade with usb firmware. 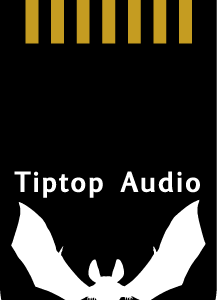 Other features include: non volatile memory for patterns, synchronization with external gear, smart synchronization of multiriot setups, din sync with vintage x0x boxes, an internal precise tempo clock generator, tap tempo, preset looping, sequencing of independent channels or cross relationship matrix sequencing for some real trigger madhouse. 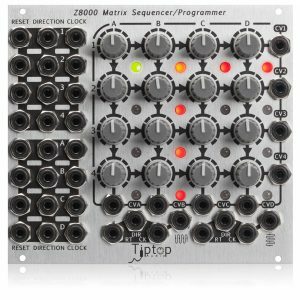 It can be used to time any modulation source such as the z4000 envelope generator, z8000 CV sequencer, and many others but also to trigger our complete synth voices and drum modules in tandem, creating the world’s first fully modular drum machine: the Tiptop analog groove generator of the new age.